Life is not simple when you are under pressure because of prominent positions and authority of those close to you. To be somebody’s sister, daughter or wife is enough to give some people a feeling of pride and of one’s own significance. Larisa Shoigu has had the opportunity to feel this kind of pressure on two levels. 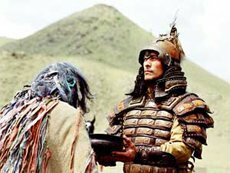 At first, at the level of Tuva, it was because of the authority and prominence of her father. Later it was on the level of the entire Russia – because of her brother, who is the Minister of Emergencies and a Hero of Russia. Nevertheless, this slender woman with an elegant boyish haircut has always made certain to be herself – an independent personality, who does not live on the fame and merit of her relatives. Eduard Ondar, an actor of the theatre of music and drama flew to Kazakhstan, where he was invited for casting of the next, this time Kazakh, film about Genghis Khan. Being a superstitious person, he did not say what kind of a film it is to be, or even who is filming it. “I don’t want to jinx it”, - he smiled. But his eyes were shining with fire and gave the actor away: he was going to Astana with hope. He will be trying out for both the main role and a secondary role in this historical film. Viktor Tolstikhin took six days to get to his goal. And he gave the Bai-Taiga residents quite a surprise: he got there over the Sayans all alone, on a horse. 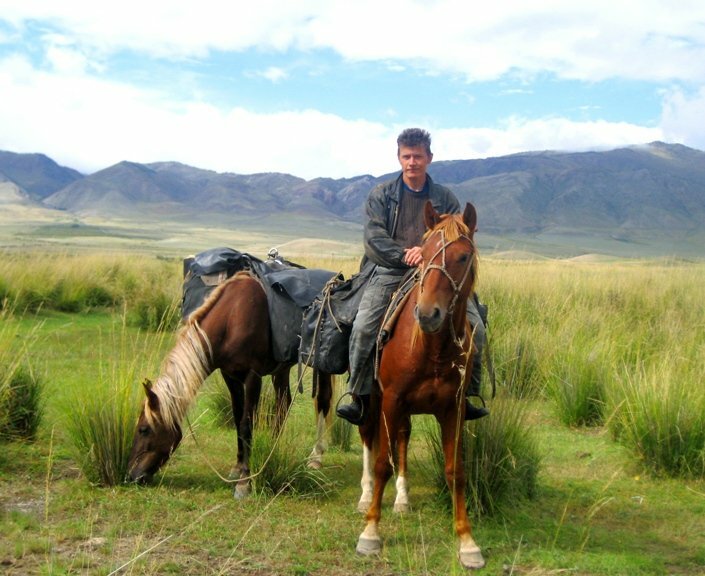 Viktor is 38 years old, lives in Khakassia, and breeds horses. Three years ago, he started his farm in Abaza. He has been drawn to the taiga since childhood. He says that those are his father’s genes at work – he was and Evenk. His mother is Russian, from the Urals. 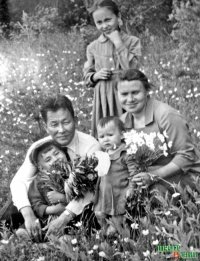 On August 23, his wife and friends saw him off and to the last moment they tried to talk him out of this trip, warning him about dangers that he could run into on the road, and told him scary tales about “wild” Tuvans who could attack him at any moment. 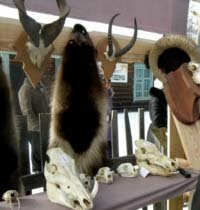 A grouse, singing in sunlight, a black bear, trophies won at international exhibitions, diplomas, petroglyphs, showing the most ancient human occupation – you can see all that at the exhibition of hunting trophies, which opened at the National museum on September 16. This date was not selected at random; on the eve of the republican holiday of animal herdsmen, hunting trophies can show like nothing else how the herdsmen live here in the old ways just like many centuries ago. “Continue the press-tours to the attractions of the republic!” – such was the decision of the Expert council of the special project “Tos Ertine”, dedicated to the Year of Tourism. The co-ordinator of the special project, Anna Khadakhane, presented the summary of the work done during the summer. During the summer, groups of journalists visited 12 kozhuuns of the republic; materials have been prepared on 44 of the noteworthy objects submitted to the contest. 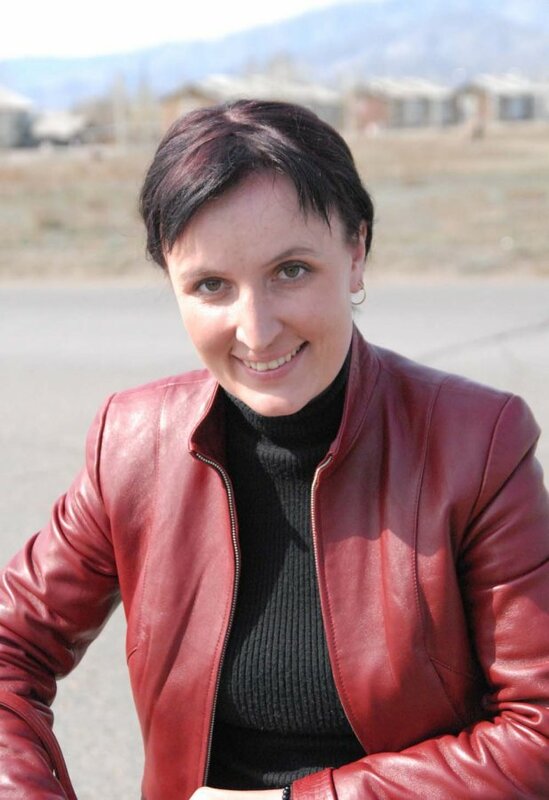 By a decision of the jury of the 19th International television festival of documentary film “Babye leto v Uvate” (Indian summer in Uvat), headed by Maria Sittel, a correspondent of GTRK “Tyva”, Elena Tsyganenko, received the award of “Best television reporter”. More than 700 works were presented at the festival. 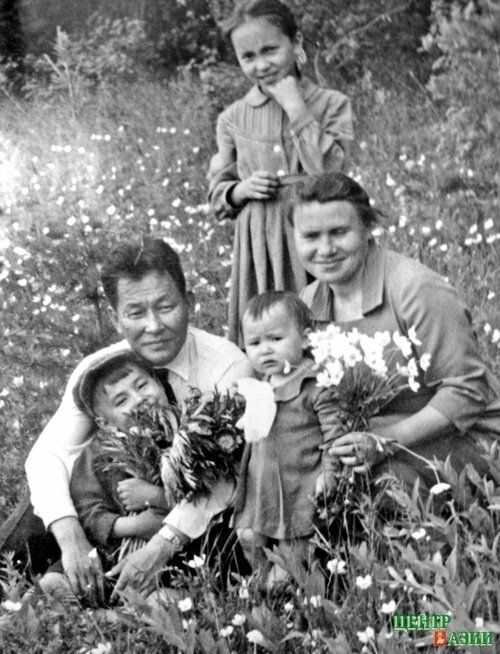 But Elena’s documentary about one of the “Treasures of Tuva” – the Moren cave – was without peers. 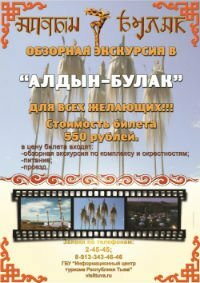 “I am very grateful to the project “Nine treasures” for this opportunity to visit some of the most remote corners of my native Tuva”, - Elena Tsyganenko informed us from Tyumen region, where the festival took place. 22 year-old journalist, a graduate of Moscow State University, Nadia Antufieva received a special prize “Nadezhda Sibiri” (“Hope of Siberia”), at the forum “Yenisei RF”, which just transpired in Krasnoyarsk. The jury noted the series of interviews by Nadia Antufieva, which were published in the magazine “Center of Asia”. The forum in Krasnoyarsk Krai brought together more than 400 journalists from the most varied parts of Russia. As the organizers emphasize, “such a venue for discussions and exchange of experiences will generate development and modernization of the information space of Siberian federal sphere, and will become an annual place of congress of professional journalists of the entire Russia”. On the eve of the Day of the City, a ceremony took place at the City Hall of honoring a widely known literary critic, candidate of philosophical sciences, member of the Writers’ Union of Russia, Merited Cultural worker of Russia and Tuva, Mariya Andreyevna Khadakhane. 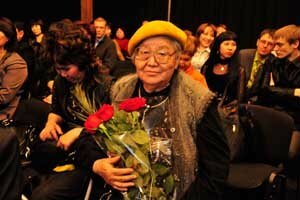 By a decision of members of Kyzyl khural, in 2010 she became the holder of the title “Honorary Citizen of Kyzyl’. An “Honorary Citizen” certificate was presented to her, and Premier Sholban Kara-ool with mayor Vladislav Khovalyg congratulated the scholar to the well-deserved award. 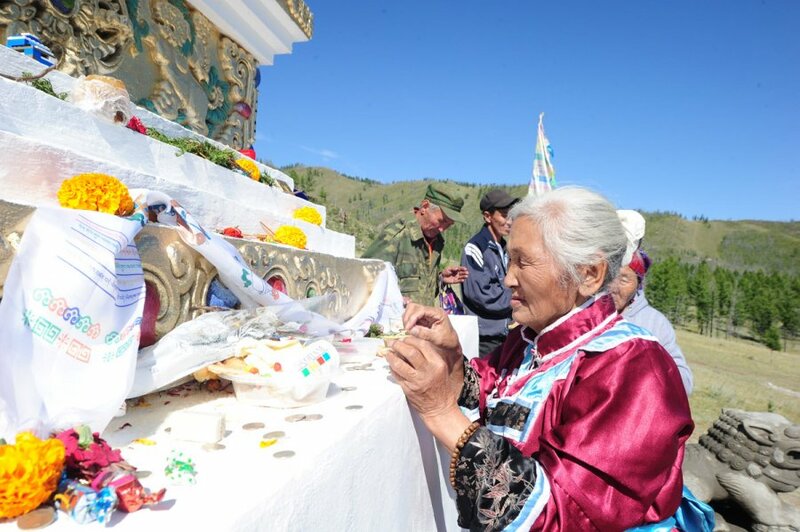 On September 5 in Chedi-Khol district of Tuva, an opening of the 73rd Buddhist suburgan in the republic took place. These cultic structures are raised at the wish of many families and clans of Tuva with voluntary co0ntributions and offerings. The suburgans are raised in “pure places”, together with temples. It is a Buddhist holy structure, which symbolizes protection of all living creatures on earth. On September 1, 21 statues of Goddess Tara, who is especially venerated in the Buddhist world, were delivered to Kyzyl. Green Tara has a female maternal core, and is always ready to come to those who are seeking consolation or need help. 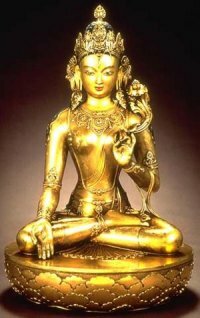 The statuettes were casted in Nepal, as it was arranged by Lama Tuge Rinpoche. During the process of their manufacture, special rituals were performed to enable the “enlivening” or vivification of the statues, as well as investing them with beneficent powers.